Eighteen years ago, Simone Porter's six-month-old daughter, Helena, was abducted. Simone and husband, Matt, have slowly rebuilt their shattered lives, but the pain at losing their child has never left them. Then a young woman, Grace, appears out of the blue and tells Simone she has information about her stolen baby. But just who is Grace - and can Simone trust her? 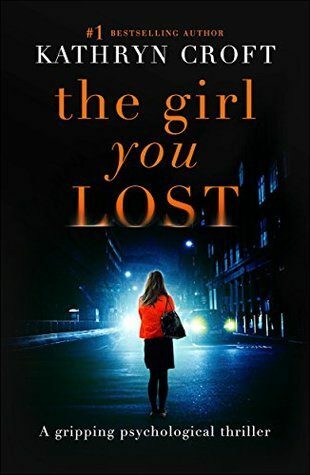 When Grace herself disappears, Simone becomes embroiled in a desperate search for her baby and the woman who has vital clues about her whereabouts. Simone is inching closer to the truth but it'll take her into dangerous and disturbing territory. Simone lost her baby. Will she lose her life trying to find her? early in the story I was turned off by the actions of the characters; their behavior made no sense to me. I routinely enjoy stories about zombies, magicians and Grisha and have no problem suspending my disbelief. I had a serious problem with this novel. There were a couple of times that I thought ‘okay, a reasonable person probably wouldn’t do that, but it needs to keep the story moving so, sure’. I have to be vague as to what my specific issues with the story are, otherwise we’ll be trekking into spoiler territory and I try to stay away from mentioning anything that isn’t given away in the blurb. I was indifferent to the last three chapters. They seem forced so that the readers could exclaim, “What an ending, I didn’t see that coming!” If the story had ended before these chapters, it would have been fine by me. I liked the concept but not the execution. I rarely say that maybe a book needs to be longer (unless I really enjoy it and don’t want to see it end), but maybe this one could use some fleshing out. I can’t specifically say what I would have liked to see more of because again, I don’t want to give anything away. Frustrating, I know. If you have no problem with spoilers, goodreads has a couple of reviews that go into the specific issues that a minority of us have. The chapters that were told from a different POV were meant to be disturbing and they were. Good writing there. The Charlotte story line was also done well. Another positive – As of this date (01/08/2017) this has a rating of 3.9 stars with over 10K ratings on goodreads. You’re welcome. I read a lot of good books last year thanks to connections I made on and recommendations I received from goodreads and city-data. There were at least 22 that deserved some mention but I won’t bore you with a list that long. The Lathe of Heaven by Ursula K Le Guin 176 pages and packs a punch. These are the non Christian books that have stayed with me long after having read them. Love how you provide such an honest review without attacking the work 🙂 Always great to see a reader find positive even when something didn’t work as well as they may have liked. I struggle with this genre as well because fantasy and horror are my go to. So when I branch out, it can be difficult at times. Again though, great review! Thank you Danielle. Reviewing can be thorny at times because attacking authors isn’t cool so the work is all we have. I strive to be be fair and to find some positive because it’s never all bad – so no need for hatchet jobs. This one certainly didn’t deserve one as far as I’m concerned. Maintaining 3.9 stars on 10k ratings says more about the story not working for me than anything else. My suspension of disbelief also does not extend to characters making decisions that no sane person in real life would make. So frustrating! Especially when their decisions are so bad that you start to not even care for their well-being (for me, at least, I start to feel like they deserve whatever bad stuff happens). But at least there were some good chapters from a different POV! Sometimes that can salvage a story.